Recent research has found that voice alerts may help wake children more effectively than a traditional smoke alarm sound. View the most recent 7 News story below to hear more. 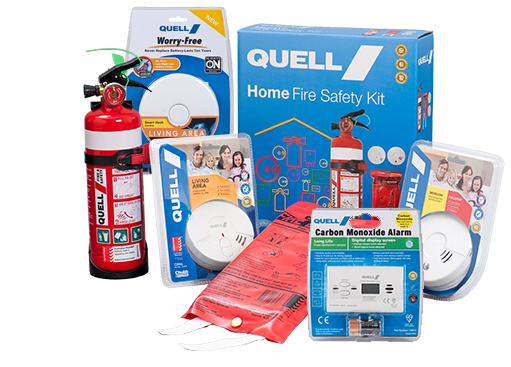 Quell recently launched a series of some alarms, featuring wireless interconnectivity with other Quell Wireless Interconnect alarms, meaning if one unit is triggered, all interconnected alarms will sound. Powered by a 10-year battery that lasts the life of the alarm, no battery installation or replacement is necessary. With voice activation, these alarms also allow for easy interconnect setup and eliminates the need for expensive rewiring. Each smoke alarm can be used in different locations through the house – including bedrooms, living areas, kitchens and hallways.